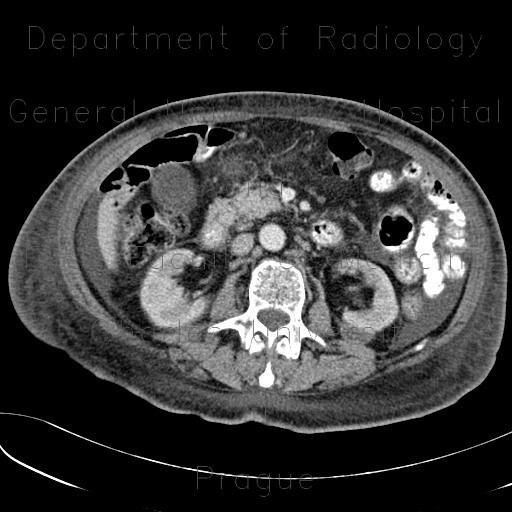 This CT was done to evaluate extent of hematoma after renal biopsy. It shows a well defined small oval mass bulging from the posterior contour of the left kidney. Note also ascites that has lower density and is a sequel of kidney disease.